The Duluth housing market has remained robust in recent years. As a result, certain lenders are starting to relax loan qualifying requirements and allowing for reduced down payment mortgage options. 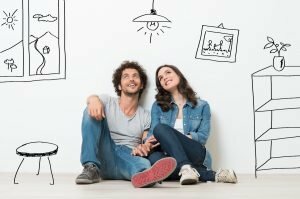 Below we will take a look at the most popular Jumbo financing options for seasoned home buyers, along with many popular first-time buyer options. A Jumbo loan is a mortgage amount that exceeds the standard conforming loan limit. The 2019 Conforming Loan Limits for a 1 unit property in Minnesota is $484,350, so any amount that exceeds this would be “Jumbo” in nature. Until recently the down payment requirements for Jumbo were always higher from many lenders and banks. However, Jumbo loans all the way up to 95% loan to value are now available to approved buyers throughout MN including Minneapolis, St. Cloud, Saint Paul, Bloomington, etc. These low down payment options will require complete income and asset documentation, along with approved credit. Furthermore, existing homeowners that want to refinance can also benefit from the higher loan to values. Applicants will find the basic requirements below, please note this does apply to both Jumbo purchase and rate-term refinance transactions nationwide. Credit scores of 700 or above to be approved, unless the buyer is putting down more than 10% down payment. In those cases, credit scores down to 660 can be approved. Buyers must document with W2 and 3 months pay stubs. Self-employed borrowers need to provide a minimum of two years of tax returns. Assets will also need to be documented, this includes two months of savings, retirement accounts statements, etc. Primary Residence, vacation homes. Down payment requirements will increase to 20% when the property is an investor home purchase. Jumbo loans are good for buyers searching for luxury homes in high-cost locations in MN. These loans are designed to simplify home buying in luxury markets by covering the full cost of the loan, so there is no need for borrowers to drain their cash savings. Similar to other mortgage programs, jumbo loans can be obtained with a standard 15 or 30 year fixed rate or adjustable rate 3/1, 5/1, 7/1 or 10/1 term. 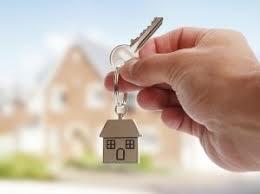 Listed below you will find some of the benefits of the Jumbo loan. Fast loan pre-approval process – takes only 10 min. To begin just contact us below. Please visit the Jumbo Purchase Page for more details. The Federal Housing Administration (FHA) loan is sponsored by the U.S. Department of Housing and Urban Development. The buyer only has to put 3.5 % down payment with the FHA program. The credit score and underwriting guidelines are less firm than those for a conventional loan. The buyer can put down as little as 3.5% down payment, however, they must pay monthly private mortgage insurance. This yearly premium is typically .85% of the loan amount. Payments are broken up over a 12-month period. In addition, FHA loans require a 1.75% upfront funding fee that is normally added to the buyer’s loan. FHA loans are only available to those who will occupy the property as a primary residence. Investment home and vacation homes are not permitted. FHA remains the most popular first-time buyer program nationwide. Learn more about the FHA mortgage details here. Just like FHA, the USDA mortgage is also backed by the U.S. Government. USDA loans are sponsored by the United States Department of Agriculture (USDA Rural Development) These loans are specifically reserved for more rural locations in MN. The good news most of Minnesota outside of the major metro locations like Minneapolis and Duluth are approved. Home buyers can look up a property address at the USDA map here. The major draw is the USDA 502 program allows up to 100% financing with no down payment required. Another advantage with USDA loans is the monthly mortgage insurance is much less when compared to FHA home loans. Home buyers can read more about USDA loan eligibility here. Eligible Veterans have one of the best benefits available in the 100% VA mortgage. Qualified vets can move into a home with $0 down, no PMI payments and some of the lowest interest rates available today. Put your service benefits to good use with a VA Loan and enjoy a zero down backed by the government. The veteran may reuse entitlement and obtain a 2nd VA loan.